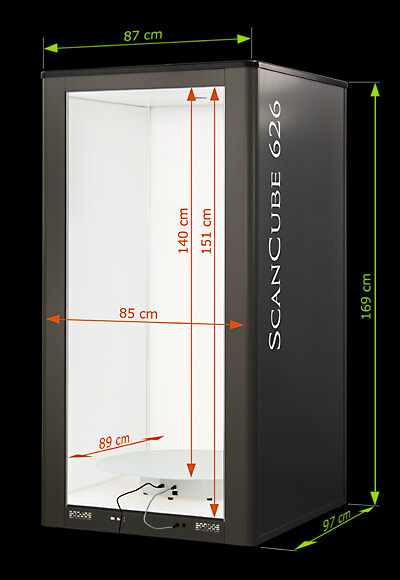 • The standard version includes the Easy-ScanCube software, a photo booth and its accessories; it allows you to take pictures of your products in high resolution, pack shots optimized for web and multi-view animations. • The e-360 version includes an additional turning table to also create 360° animations of your product photos, 360° videos and animated pack shots. All the standard versions can later be upgraded to e-360. 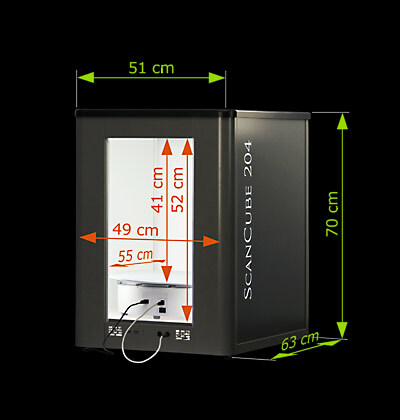 * The maximum dimensions listed here for products that may be photographed in 204 photo booths are given as estimates; depending on the shape of the object, the dimensions may be bigger or smaller. For your convenience, it is recommended to allow 2 to 4 centimeters extra room. 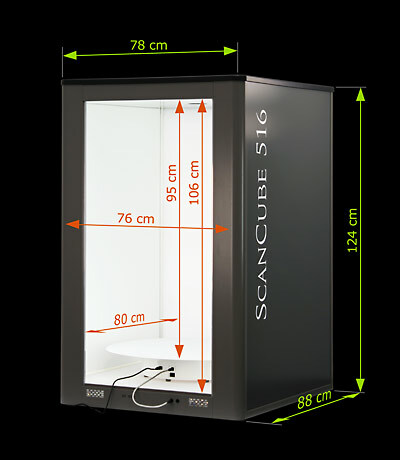 * The maximum dimensions listed here for products that may be photographed in 308 photo booths are given as estimates; depending on the shape of the object, the dimensions may be bigger or smaller. For your convenience, it is recommended to allow 3 to 4 centimeters extra room. 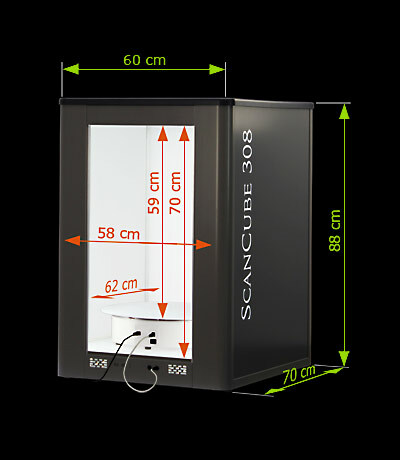 * The maximum dimensions listed here for products that may be photographed in 308 photo booths are given as estimates; depending on the shape of the object, the dimensions may be bigger or smaller. For your convenience, it is recommended to allow 3 to 5 centimeters extra room.